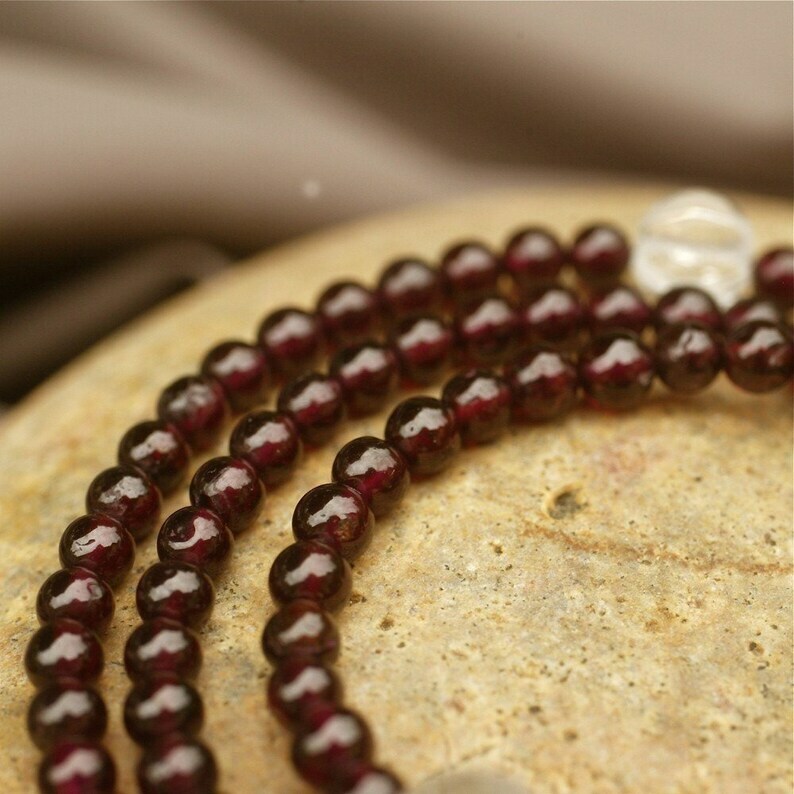 This small grade A garnet pocket mala with quartz crystal markers is finished with a handmade white tassel. 111 beads plus three marker beads. Garnet symbolizes increased creativity and prosperity. 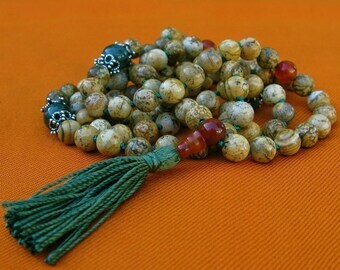 It's designed to be a pocket mala. Approximately 14.5 inches or long including tassel. Strung with love and prayer on nylon-coated beading wire, which puddles and coils as if it was made of silk. May all beings have happiness!